Wii’s Elbow , Ouch !!! Its been only a few days since the Wii’s launch and potential health hazards of the new sword style controller have started to come forward. People who were playing the Wii for a long time complained of pain in the joints and dubbed the syndrome as Wii’s Elbow. So to avoid getting this repetitive starin injury , dont play the Wii for long periods at a time. MTNL has launched India’s first IPTV Service – Television viewing that is actually interactive. Heralded as the broadcast system of the future, IPTV will allow viewers to opt, demand, receive and control content, customized to each individual. b) Time shifted TV (TSTV – last one weeks television content aired by any channel available). c) Video on demand at the push of a button. Consumer expects services that are both innovative and affordable. Accordingly, MTNL IPTV service is priced aggressively and has tariff comparable with DTH or cable TV. Customers may call 1500 for details of tariff and registration. MTNL has taken the lead, yet again, ushering in a true revolution in home entertainment with the country’s first IPTV service. All we at Wisetechie.com want to say is bravo for ushering in a new telecom revolution. 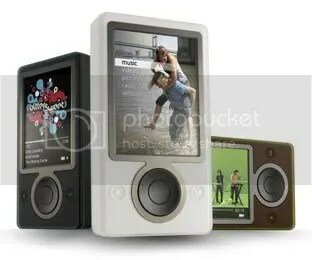 As we all know Microsoft’s response to the Ipod is here , the Zune , we talk about things which might make it or break it. Ability to send photos, and music files from Zune-to-Zune via WiFi. Photo files may be shared without restrictions. For restrictions on Music Sharing , see negative below. Wallpapers may be set in the Zune Player. Fm Radio (Ipods lack inbuilt radio) , song name might be displayed if the radio station supports it. The player software will automatically convert audio and video in a format not supported by the Zune into a format that is. (e.g. a video with a resolution of 720×540 will be converted to a resolution of 320×240 if necessary). You can tell other people having Zunes near you, what you are listening. Zune Sharing – Its easy to make a Zune to Zune song transfer , perhaps too easy , thats why every time a song is transferred Zune to Zune it gets limited to a three day or three play restriction , which ever comes first. Plus a play is counted if a song is played for 1 minute or half the song (whichever is shorter). Even if the song is recorded , non-copyrighted , this restriction applies. Crippled Wifi – The Wifi only allows a Zune to connect to another Zune , not a computer or a Wifi Hotspot. No hard Drive – The Zune also cant be used as an external hard-drive unlike an Ipod.